Our regular improv workshops return in October and places are filling up fast. Commencing 6th October, we will be running the following eight-week courses: Foundation in Improv, Intermediate Improv and Beginning Stand Up Comedy. Our courses are fun, friendly and designed to introduce you to the core skills and tenets of performance. Whether you’re looking to test your funny bones, build confidence, improve communication and presentation skills, develop your performance practices or just want to have fun with some like minded people then our workshops are for you! We honestly believe that improv classes can be hugely beneficial to life offstage as much as they can be for life onstage. Read how improv workshops are helping people with anxiety here. Can’t wait until October? We still have a few spaces on our two-day Sketch Writing course and our one-day Improv Narrative workshop with Nathan Jansen. Find out more about all of our upcoming courses and workshops by visiting our workshops page today. You can now pay directly through the website. All of our workshops are currently held at The Kings Arms in Salford, where we host our monthly Improv Mullet comedy night so do pop along if you want to have a chat to any of us about workshops, classes or shows! 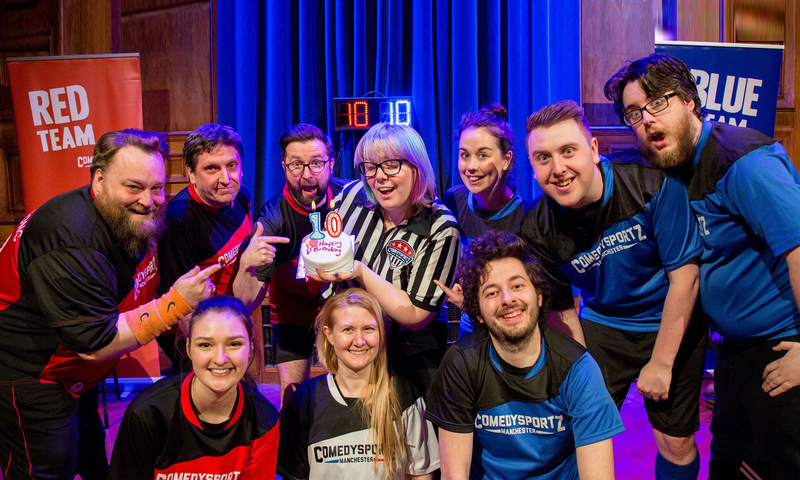 Next PostNext ComedySportz Summer Update and The Year Ahead!